As fears of a global trade war escalate, all eyes will be on Beijing this weekend. The negotiations come after a rocky week during which the United States tore up a tentative trade truce with China and hit Canada, Mexico and the European Union with big tariffs on metal imports. All three will retaliate. Washington and Beijing have been exchanging threats for months, announcing plans for tariffs on tens of billions of dollars of each others' exports. 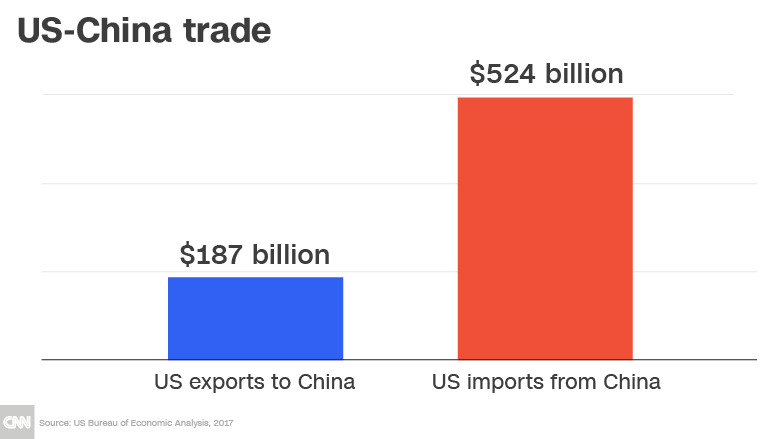 President Donald Trump wants China to engineer huge cuts in its $375 billion trade surplus in goods with its biggest trading partner. 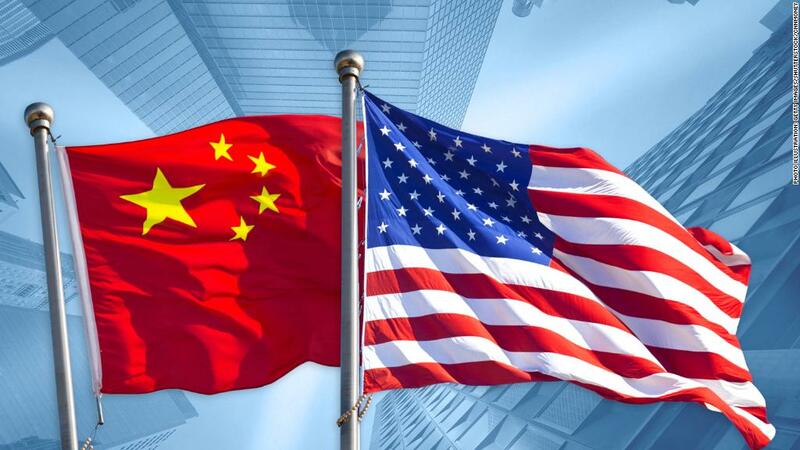 At the last round of talks in Washington, China pledged to significantly boost its purchases of American goods and services. Senior US officials have said that during the Beijing visit, Ross will be seeking commitments on how that will happen in areas such as energy and agriculture. 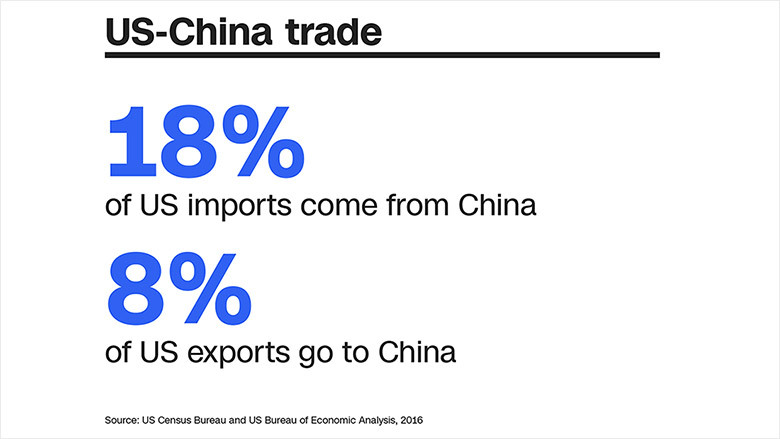 But experts are skeptical that the United States will be able to get China to do enough to significantly close the huge trade gap. Other big US demands may also be on the table. Speaking on Thursday, Ross said the objectives of the Trump administration hadn't changed. "Our basic objectives with China are to sell them more product, get less in the way of tariff and non-tariff trade barriers, and then ultimately, and most importantly ... deal with the problems of intellectual property, technology transfers, the whole litany of high-tech things," he told CNBC. The United States is pressing Beijing to move away from industrial policies that critics say subsidize Chinese companies on the global stage and pressure foreign firms to hand over key technologies. US officials are particularly concerned about "Made in China 2025," which seeks to pump hundreds of billions of dollars into high-tech industries like robotics, electric cars and computing with the aim of becoming a global leader in those fields. The Trump administration upped the stakes ahead of Ross' expected visit by saying Tuesday it planned to forge ahead with tariffs on about $50 billion worth of Chinese goods, as well as measures to restrict Chinese investment in the United States. 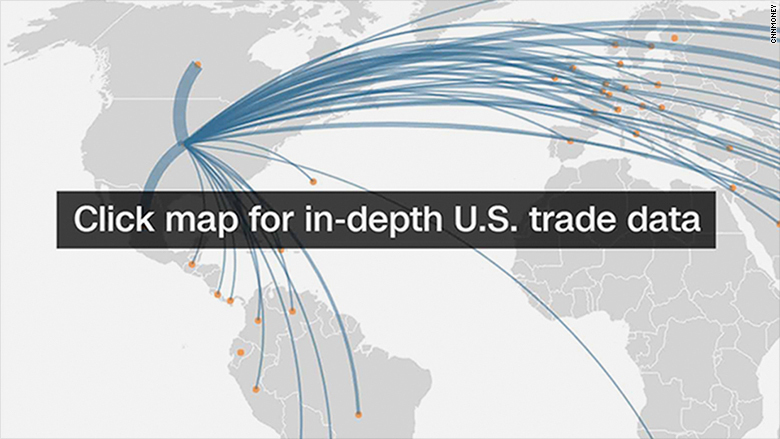 The move was unexpected, as trade tensions appeared to have eased in recent weeks after both sides said they had agreed to put plans for tariffs on hold while they tried to make progress in negotiations. Analysts at Oxford Economics suggested that the announcement was "aimed at renewing pressure on China ahead of the bilateral talks and the possible North Korea summit," according to a research note this week. The Chinese government said the move went against the recent consensus between the two countries. It reiterated its stance that it doesn't want a trade war but isn't afraid of fighting one. But it has resisted announcing any retaliation so far. A US delegation arrived in Beijing on Wednesday for preliminary talks to establish the outlines for the weekend negotiations. China previously said it could strike back with tariffs on American goods such as soybeans. -- Jethro Mullen, Alanna Petroff, Steven Jiang and Kevin Bohn contributed to this report.